arboretum with tree types identified with signage. 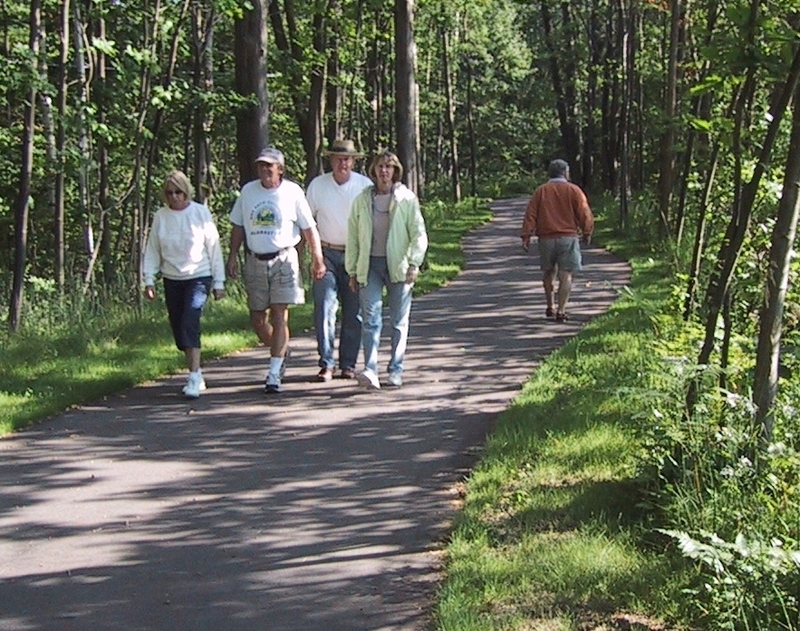 The Alabaster Pathway connects to the Tawas Bay Pedestrian Pathway that runs through Tawas City and East Tawas and out to Tawas Point State Park. The Alabaster Pathway is part of the Iron Belle Trail (from Belle Isle in Detroit to Ironwood in the Upper Peninsula).